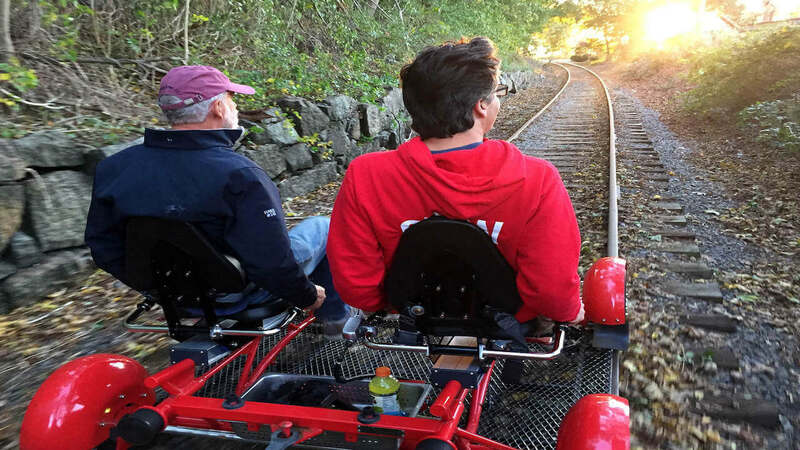 Take a tour with Rail Explorers and experience the magic of the railroad like never before! 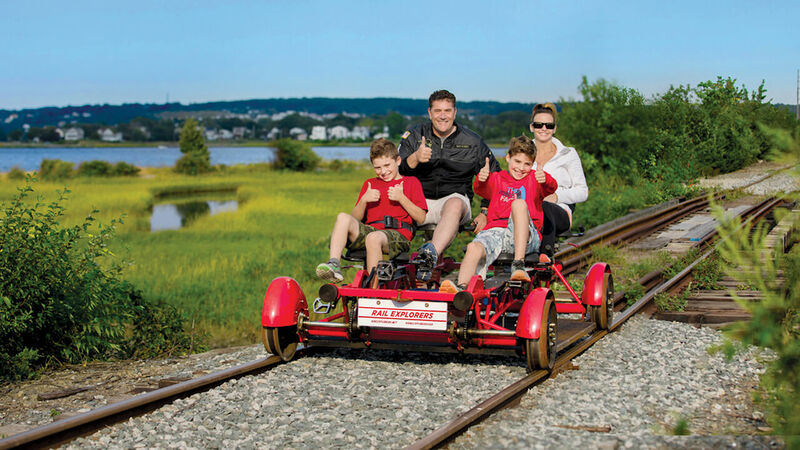 Ride the rails on our pedal-powered 'Rail Explorers' - a unique activity suitable for everyone. 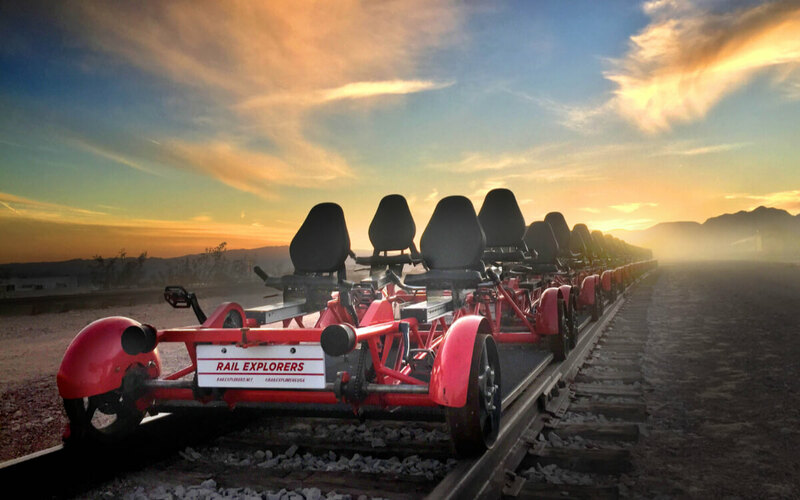 Currently operating in 3 spectacular locations across the US - where do you want to rail explore today? 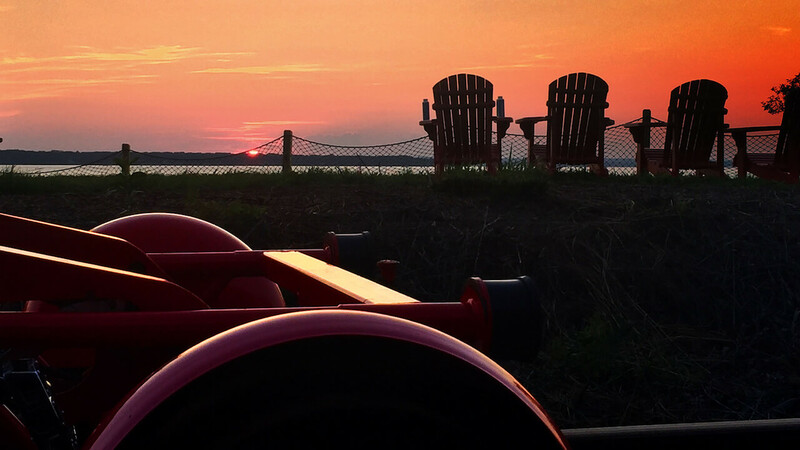 Give the gift of an unforgettable experience with Rail Explorers. 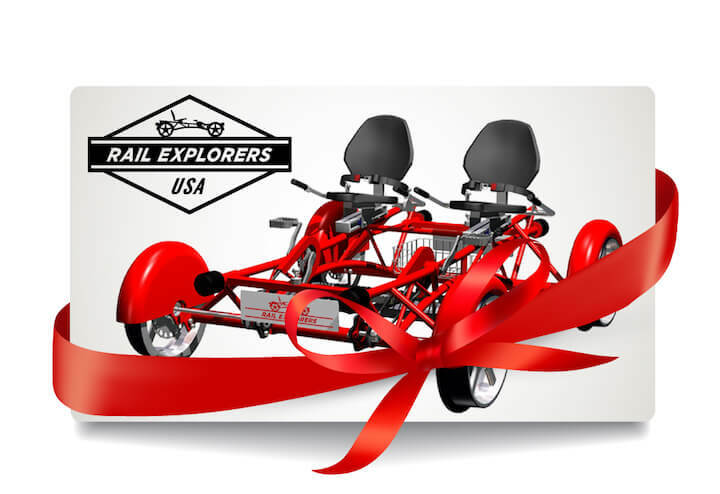 Choose a gift card which can be redeemed for either a Tandem Explorer (2 riders) or Quad Explorer (4 riders) at any Rail Explorers location. 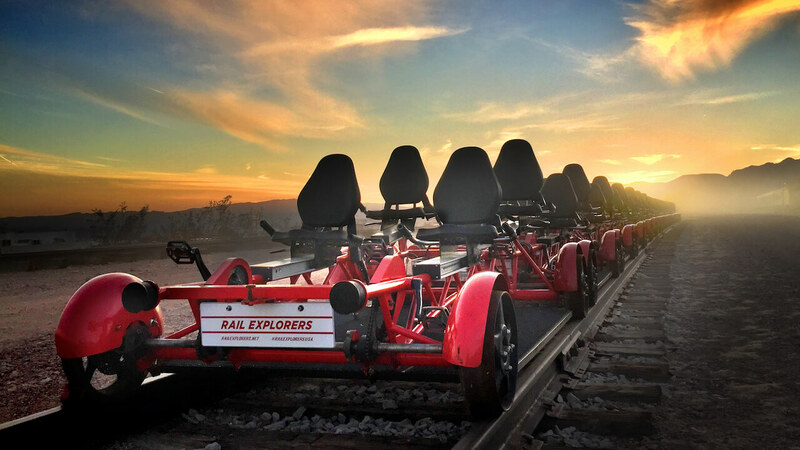 The Rail Explorers are easy to pedal, the terrain is mostly flat and the ride is relaxing and enjoyable. 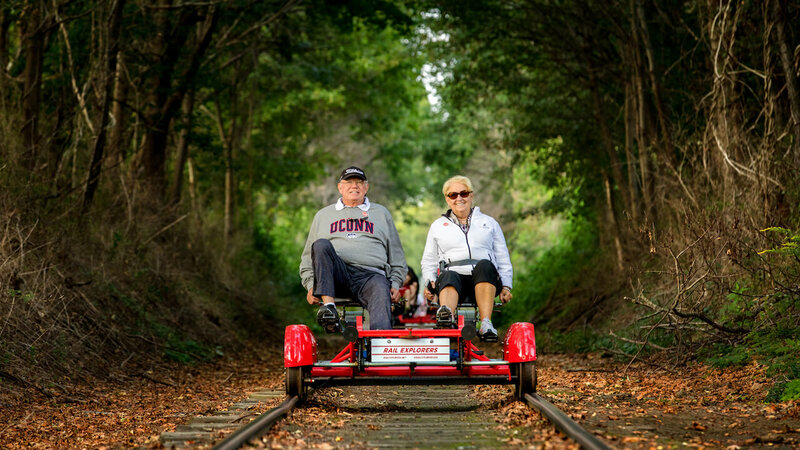 Everyone can enjoy this activity: couples young and old, groups of friends, and families of all ages and abilities. 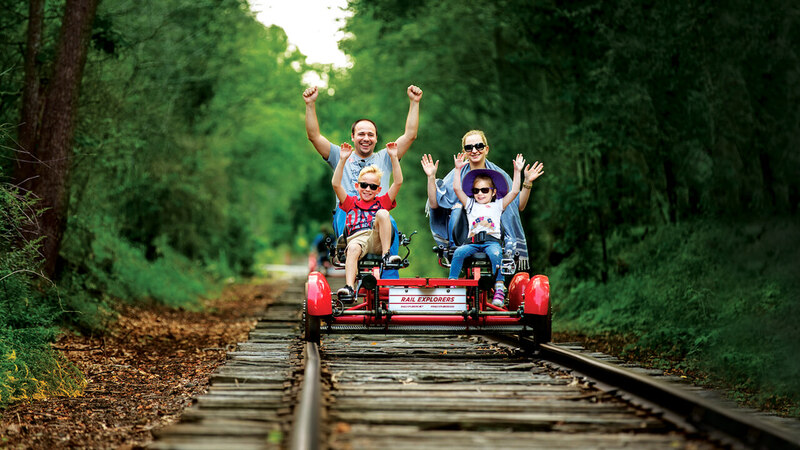 The pedal powered Explorers provide a smooth and comfortable adventure suitable for all. At Rail Explorers safety is our first priority, so all tours have a trained guide at the front and in the last Explorer. Tours depart on a set schedule, but all riders are spread out, with up to 500ft between you and those in front and behind. 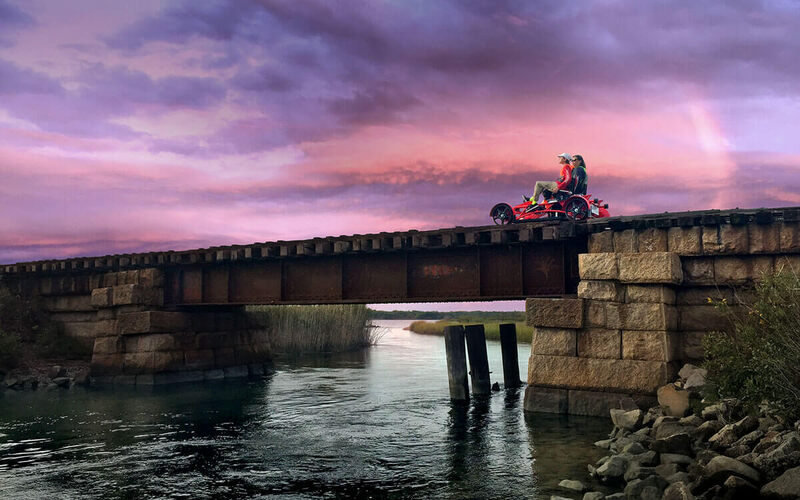 The front and rear guides ensure that everyone arrives safely, but the distance between the bikes allows everyone to go at their own pace and enjoy the magic of riding the rails in solitude. 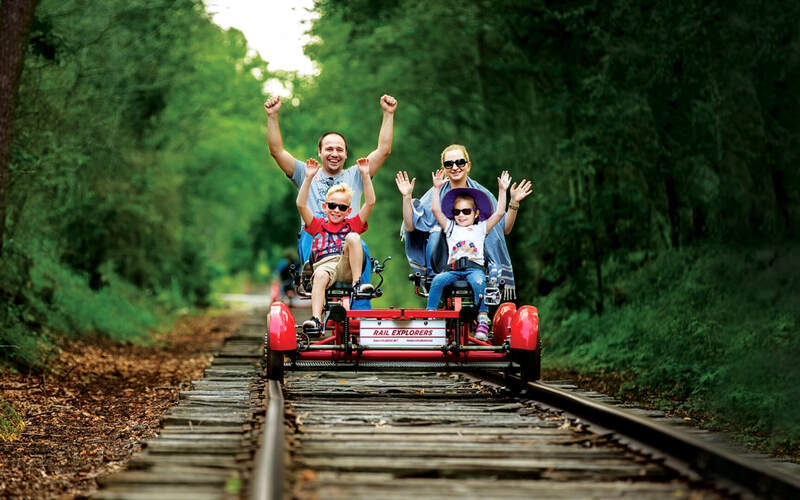 Want pre-release access to special Rail Exploring events? Want to be notified about new locations? Sign up to the newsletter! We hate spam as much as you do - we will never sell or give your email address to any third party. We typically contact subscribers just a few times per year.